Q. When should I replace my roof or does my roof need to be replaced? A. With composition shingles- These usually wear out in a more discreet way. Granules start coming off leaving black patches showing. Shingles also start to curl at the ends. In General, some people think if a roof leaks they need to replace it. Unless it’s an older roof, leaks can usually be repaired. With leaking in older roofs and/or if your roof has leaking in more than a few areas, this can mean trouble. A. Most roofing work should not be a do-it-yourself project. Professional roofing contractors are trained to safely & efficiently repair or replace a roof. 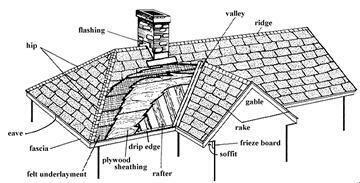 Do-it-yourself can harm a roof with improper roofing techniques and can harm themselves by falling through the roof or even falling off the roof. Q. What type of roof do I put on my house? Q. What color should I choose? A. The color of roofing material should blend with and compliment your home. It should not be the focal point though. A. The price of a new roof varies widely, depending on the material selected, the contractor doing the work, the home itself, area of the country, local labor rates, time of year, and more. To get a good idea of the cost for your roof, get three to four estimates from reputable contractors in your area. Keep in mind that cost is only one factor, and it must be balanced against the quality of the materials and workmanship. For each roofing material there are different grades- and corresponding prices. Plus, there are a variety of styles and shapes. You need to look at the full product range and make a choice based on your budget and needs. Within the roofing profession there are different levels of expertise and craftsmanship. Pick a contractor who is committed quality work. Q. Do you replace water damaged plywood if you find it when old roofing is removed? A. When we find damaged material, we let the owner know. Our usual fee for removal of damaged plywood is $35.00 an hour plus materials. Q. 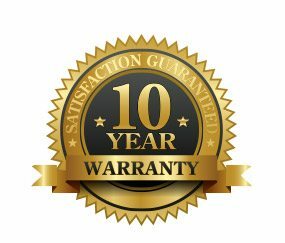 How long does it take to get a new roof installed? A. It could take anywhere between one – two days, depending on the size & pitch of the roof & how many layers need to be removed. Q. How soon after a call can you come out to complete a job? A. It depends on the workload and weather. Unfortunately when rains come and people need us the most, we are the busiest. During some of those times it can take roofers a couple of weeks to get to a job, but no matter how busy we are, we are prompt with returning phone calls and letting clients know how are schedule looks. Q. What are the parts of the roof called?